Sharon Credit Union has six branches in Massachusetts: two in Sharon and one each in Foxboro, Mansfield, East Walpole and North Attleboro. It also offers hundreds of surcharge-free ATMs through its SUM ATM network. It offers business savings and checking accounts, lines and loans, merchant solutions, investment, insurance and wealth management. It has an A+ Better Business Bureau rating and generally positive reviews online. Membership in Sharon Credit Union is open to people residing or employed in the counties of Norfolk, Suffolk, Middlesex, Plymouth, Barnstable or Bristol in the Commonwealth of Massachusetts and Providence, Bristol and Newport counties of the State of Rhode Island. Additionally, family members of eligible individuals may apply for membership regardless of location. Sharon Credit Union has six branches in Massachusetts: two in Sharon and one each in Foxboro, Mansfield, East Walpole and North Attleboro. It is also a part of the SUM ATM network, which provides its members access to hundreds of surcharge-free ATMs. You can use its branch locator to see which location is closest to you. 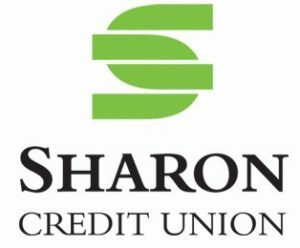 Sharon Credit Union also offers the following business services: business savings and money market accounts, credit cards, lines of credit, business term loans, commercial real estate financing and wealth management. Find out more about its small business offerings on its website.